Planning for 2019 is in full swing, so it’s time to assess current and upcoming trends in digital fundraising and how your nonprofit can leverage them for maximum impact. Before we begin, please note: This is not a TO DO list! These are trends, which are fun to talk about, but can get overwhelming for the digital fundraiser that already has too many items on her plate. Do not read this post unless you already have a digital strategy for 2019, and you are looking for new, innovative ways to reach your target audience and accomplish your specific goals. For more information on how to create your nonprofit digital strategy, check out last week’s post on this topic. Got your plan? Great! Let’s get started. In my latest Facebook Live video and this post, I dive into what I expect to be the top 5 digital fundraising trends for 2019. 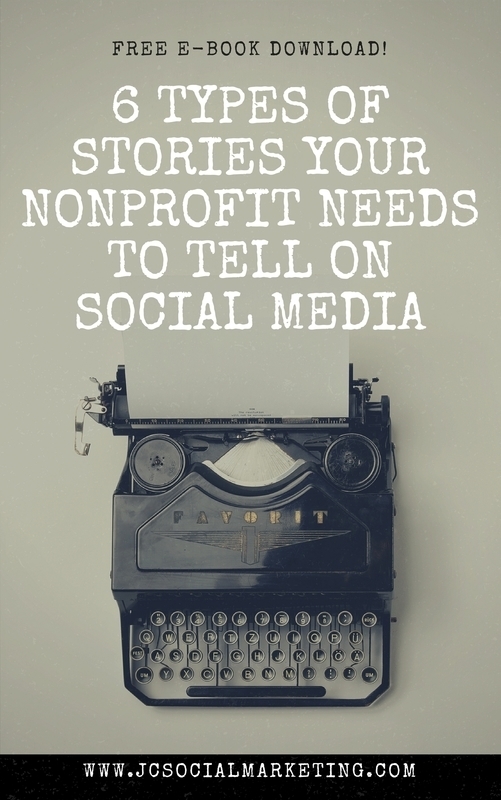 If you want even more actionable tips like this, check out my Social Media Marketing online course for nonprofits! #1 People are craving more human content, specifically via video. So, you may have been seeing a teensy little bit of backlash against social media lately? Maybe? The way to combat this backlash is to be even more accessible and human that you are comfortable with. Use video to lift the veil on your work. People want access, authenticity, and transparency. In this same vein, people prefer to interact with amateur content than celebrities. University presidents talk to alumni through live­stream during campus giving days. The Humane Society goes live from the field. The New York Public Library goes live from events. Expect a much longer blog post about how to use Instagram Stories, but for our purposes today, consider the rise of the inspirational Alexandria Ocasio-Cortez. Ocasio-Cortez, the 29-year-old representative from New York’s 14th congressional district, who will become the youngest serving congresswoman ever come January. She has used Instagram Stories and Instagram Live to build an engaged community of raving fans, with the purpose of taking politics out of the ivory tower of DC and putting the power back in the hands of the voters. Digital fundraising is not all about the ask – it’s about cultivating an engaged group of supporters who love you and who want to share your work with others. Think of digital fundraising and community building like dominoes. Build up your dominoes by showing people your work, letting them know and trust you, and then asking them to participate and get involved (knocking down the dominoes – and building them again). #2 Instagram is poised for even more growth. Of the social networks, only Facebook and YouTube have more people logging in. With 500 million of them using Instagram—every day. 59% of U.S. users are under 30. 72% of users have bought a product they saw on Instagram. Nonprofits need a more strategic way to approach Instagram, rather than simply posting something every few weeks. They have a defined purpose. Their goal is to spread useful information to help people get ready for the upcoming tax season. They have reasonable expectations. They understand that the subject of taxes is never going to have as many followers as a movie star or a pop star. Their posts are meant for Instagram. All their posts are eye-catching, colorful, and have an element of surprise. For example, their first post is bright pink and features flamingos! #3 P2P Social Media Fundraising is growing, specifically through Facebook Fundraising and donated birthdays. YouTube Giving tools are also ones to watch, but they don’t have the P2P aspect of Facebook fundraisers (at least, not yet). My recommendation is to get registered with Facebook Fundraising tools by going to donations.fb.com and then creating a strategy to get people to set them up and raise money for you in 2019. On Giving Tuesday this year over $125 million was raised via Facebook Fundraising. It’s not a silver bullet, and it’s certainly not EASY, but the principles of success are simple. I talk about about Facebook Fundraising in much more detail up in previous blog posts and Facebook Live videos. #4 Livestreaming via gaming platforms like Twitch are forces to reckon with. Launched in 2011 by Justin Kan and Emmett Shear, the online video platform is comparable to sites like YouTube or Vimeo, except that it focuses exclusively on live video. 15 million users tune in to watch an average of 1.5 hours of Twitch live streams each day. During Suicide Prevention Awareness Month, the Seize the Awkward campaign ran a three-day Twitch event to raise funds for their mental health work. #5 Artificial Intelligence and Chatbots are here, and nonprofits need to get on board. This is a big one, and I can’t claim to be an expert. Beth Kanter past year wrote an op-ed for the Chronicle of Philanthropy on the age of automation and it implications for fundraisers. Kanter also compiled a great list of chatbots that nonprofits can study, research, and use for ideas and inspiration. Susan G. Komen Florida implemented a chatbot, using ManyChat, as a way to provide ease of access to resources and information. For the 2019 Race for the Cure, Komen Florida’s chatbot will answer important questions to race participants. Nonprofits, even small ones, need to begin to understand at lesat what a chatbot is and how it works.